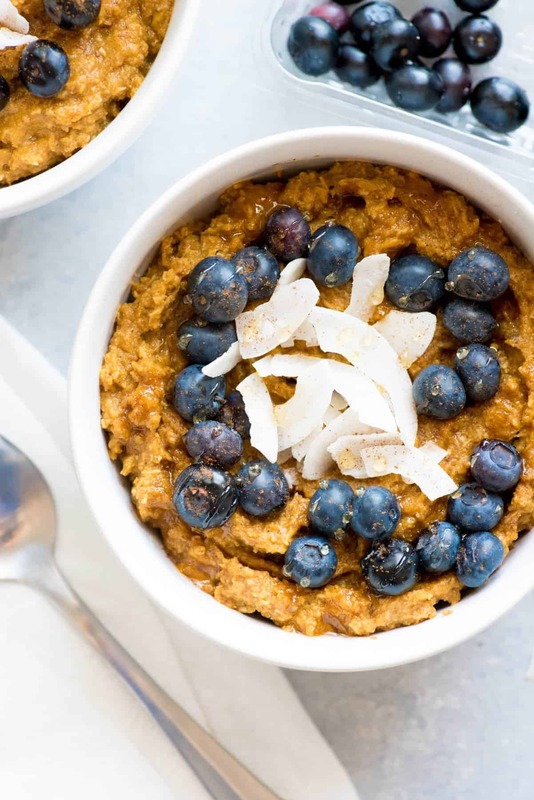 This Pumpkin Spice Coconut Breakfast Porridge meets all the requirements of the AIP diet, but is so delicious, you won't feel like you're missing out on anything! One of the biggest struggles with eating on the AIP diet (you can read more about what it is and why I’m on it here) is breakfast. Basically, name a breakfast food, and chances are, you won’t be able to eat it on the AIP diet. Eggs. Pancakes. Toast. Oatmeal. With the flip of the AIP switch, pretty much all my favorite breakfast choices were off the menu. This didn’t seem like a big issue at first, but then cool weather came, and with it came a big ole hankerin’ for a cozy, comforting bowl of oatmeal. More specifically, a bowl of pumpkin oatmeal spiced with cinnamon and nutmeg and drizzled with some really great maple syrup. Instead of getting are kerfuffled over the fact that I couldn’t dive face first into my favorite bowl of oats, I instead headed to the kitchen, strapped on my apron, and got to work figuring out a bowl of “oats” that I could eat with my dietary restrictions. And voila, coconut to the rescue! 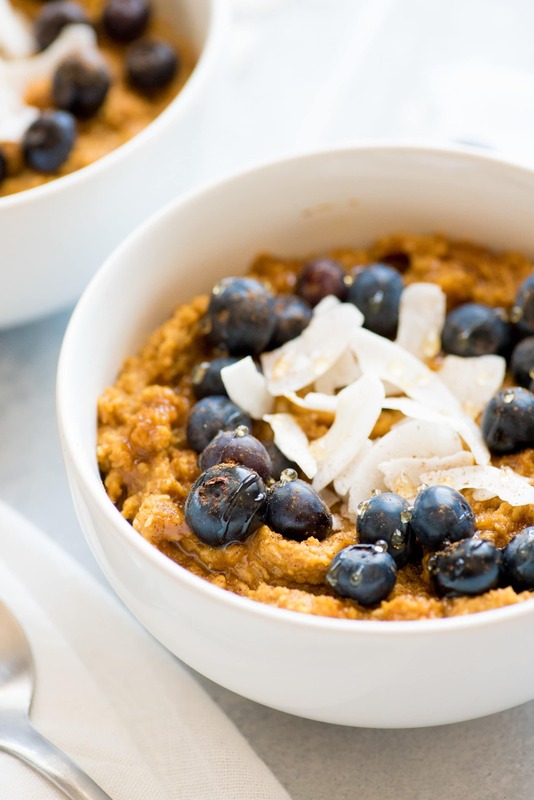 Coconut flour and shredded coconut form the grain-like base of this breakfast porridge. 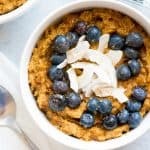 It’s not exactly the same texture as oats—especially if you’re used to the chewy texture of steel cut oats or old fashioned oats—but it’s got the hot breakfast cereal feeling to it. And it totally hit the spot. When you’re eating AIP, you strip almost all added sugars (even the natural ones) from your diet, so your palate tends to become incredibly sensitive to the sweet stuff. That’s why the base of this breakfast porridge is only lightly sweetened with mashed banana—then you drizzle on hot maple syrup to taste. I also like to put big, juicy blueberries and flaked coconut on top. If you aren’t eating AIP, walnuts or pecans would be awesome, and of course, butter and heavy cream. YUM. Enjoy! 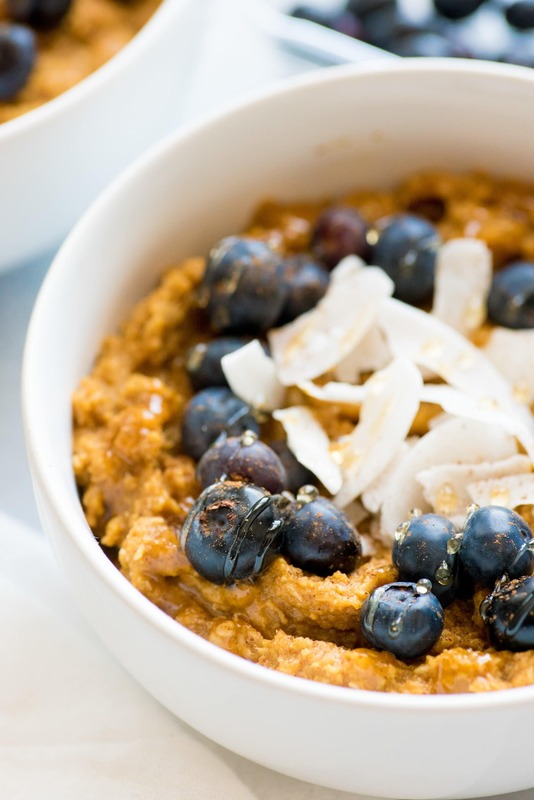 This Pumpkin Spice Coconut Breakfast Porridge meets all the requirements of the AIP diet, but is so delicious, you won’t feel like you’re missing out on anything! 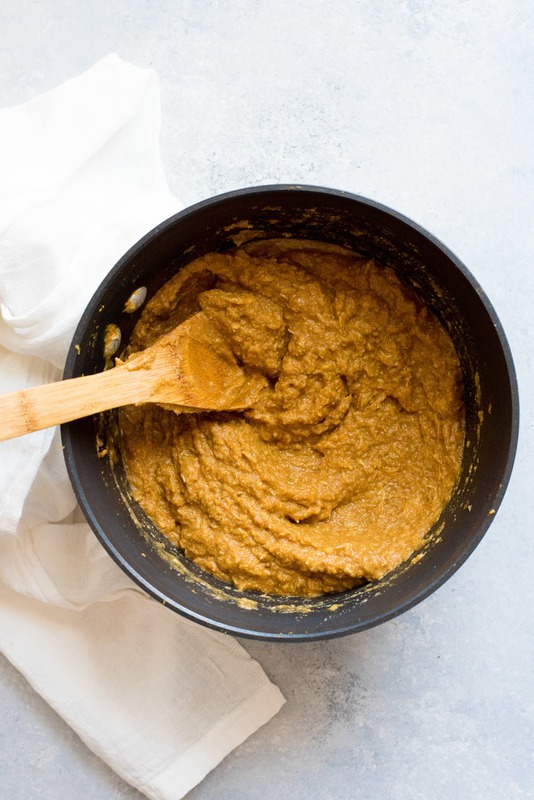 Combine the pumpkin puree, banana, coconut flour, shredded coconut, water, coconut milk, salt, cinnamon, ginger, and cloves in a medium size saucepan over low heat. Bring to a simmer, stirring constantly, until the mixture is thickened to the consistency of oatmeal. Spoon into serving bowls and top with blueberries, coconut flakes, maple syrup, coconut milk—whatever makes you happy! If you aren’t eating AIP, add 1/4 teaspoon of ground nutmeg to really round out the pumpkin spice flavor. This is very lightly sweetened on it’s own—it really shines topped with some hot maple syrup! Coconut porridge tends to go from too-thin to too-thick in a heartbeat, so if you need to thin it out, just add a touch more water. If you’re in the AIP reintroduction phase, this is really good with a little puddle of ghee on top. This is a GREAT meal prep recipe—think of it like overnight oats, but without the oats! Double or triple the recipe, store in wide-mouth pint glass jars with plastic caps, and then grab-and-go before work or school. You can eat it cold or nuke it for a few minutes. Subscribers get first access to new content, exclusive recipes, giveaways, tons of freebies, behind-the-scenes updates, and a totally free eBook just for signing up! I understand that by filling out this form, I am agreeing to receive emails from Wholefully. This looks AH-mazing, I cannot wait to try it. Thanks so much for the inspiration – I know everyone in the family is going to love it. 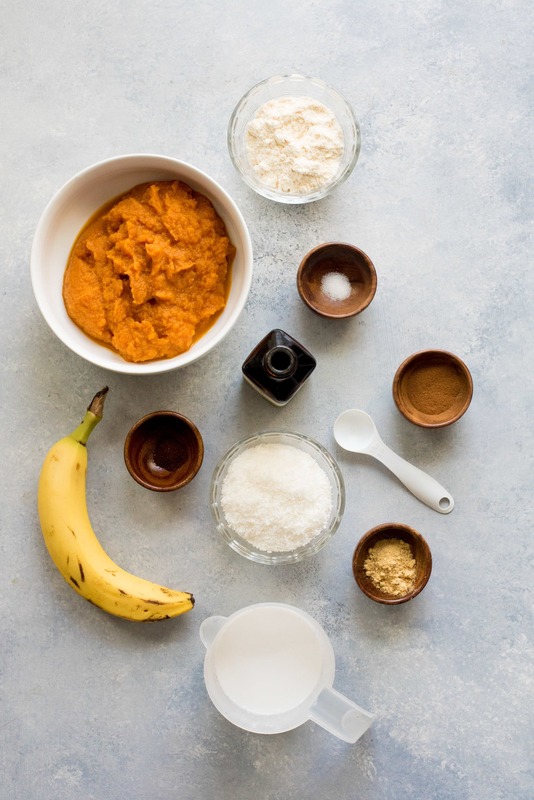 Hi – I wanted to make this to bring to a potluck brunch – if I’m preparing ahead of time, do I cook the porridge before storing overnight, or just combine all the ingredients? I wanted to cook it on the stovetop the morning of, when I arrive at my friend’s house. At Wholefully, we believe vibrant, glowing health is your birthright. The free Living Wholefully Starter Guide is packed full of tips, tricks, recipes, and a 14-day meal plan to get you started on the road to vibrant health. Welcome to Wholefully! Our goal is to empower you to take control of your own health. Let us show you the holistic wellness tools you need to nourish your body and uplift your mind. Hello. I’m Cassie, and I’m excited you are here! I'm a home cook and wellness junkie with a love of all things healthy living. Come along as I explore good food, holistic wellness, natural homekeeping, gardening, and all the other things that bring me joy! In this totally free (yup!) digital book, I share with you everything you need to get started living the Wholefully life—clean eating, green beauty, natural home, self-care, mental health—we cover it all! Many outgoing links on Wholefully are affiliate links. If you purchase a product after clicking an affiliate link, I receive a small percentage of the sale for referring you, at no extra cost to you. Wholefully/Back to Her Roots, LLC is a participant in the Amazon Services LLC Associates Program, an affiliate advertising program designed to provide a means for sites to earn advertising fees by advertising and linking to Amazon.com. Awesome freebies like our Living Wholefully Starter Guide (plus lots more throughout the year). An inside pass to exclusive content like printables, recipes, deals, coupon codes, and sneak peaks. Only the best and most helpful content to get you on your way to a holistically healthy life. No, thanks. Maybe next time.